Relocating overseas is a detailed and challenging process. Organizing your household goods for moving, getting the family organized, buying or renting a new house, registering the children in new schools, purchasing cars are just for starters. Then you must arrange your pet’s travel. So, all is ready to go, right? Then get a call that the regulations for your pets have changed and your dog cannot go, what do you do!?? This can happen, and did to one of our clients. Marley is a Pug and his family was relocating to South Africa. His family handled all of the necessary blood tests, exams and certificates. South Africa is a country with very unique requirements to import pets. Everything was in order for Marley’s relocation. Then, in an unprecedented change of events, the South African Government blood test requirement for Trypanasoma Evansi (Surra) for animals being imported changed. Normally, these revisions are planned months in advance so that other governments and persons looking to import live animals have time to prepare and adjust to the new requirements. This sudden and unforeseen change left Marley and other pets around the United States unable to fly due to the regulations change; leaving some pets behind with family members, friends or boarding facilities while the details were sorted between the South African and United States governments. Capital Pet Movers, along with other members of the International Pet and Animal Transportation Association (www.IPATA.org) scrambled to decipher how best to complete this new blood test. Only two laboratories are approved to complete the newly added blood test requirement for pets coming from the United States, one in Belgium and the other in Japan. Capital Pet Movers with the pet owner decided to work with Palisades Veterinary Clinic in DC and ship the blood to Belgium. Due to the delay from the regulation change, Marley’s previous blood work and health certificates would expire. Despite all of this going on, Marley had no worries. We had the privilege of caring for him so the pet owners could get to South Africa. His energetic and spirited personality became a very welcome presence in our office. 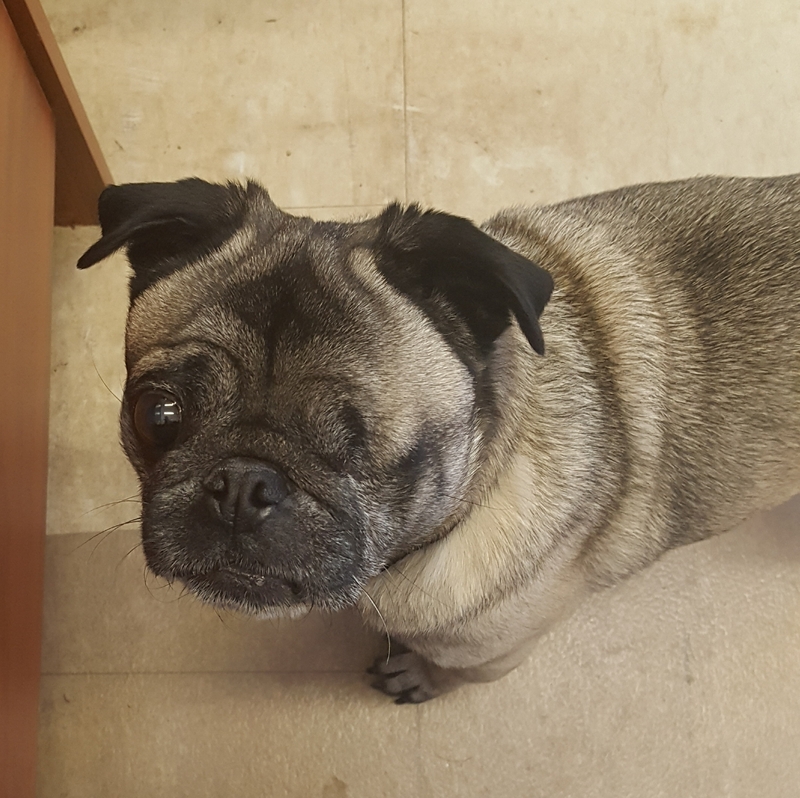 Capital Pet Movers staff quickly grew attached to our little one-eyed friend! At night, Marley was set-up at our preferred boarding kennel, Shady Spring Pet Retreat. While boarding, he had his blankets and toys, and enjoyed making friends quickly and romping around the 17 acres of property with the kennel staff. While Marley was enjoying time at camp, there were many phone calls with the pet owner, emails and conversations between Capital Pet Movers, IPATA members, USDA officials, the lab in Belgium and the South African government to sort out what needed to be done to get Marley and other pets reunited with their families in South Africa in the shortest time possible. Since the new regulations change, no pets had been exported from the US and imported into South Africa to our knowledge… one pet had to be the first. We did our homework. After researching, and consulting with our colleagues both domestic and overseas, it was time to take the first tentative steps. The appointments were made with our trusted colleagues at Palisades Veterinary Clinic, shipping labels and boxes were prepared to send Marley’s vialed blood to the Belgium laboratory. It was time to get the ball rolling. Marley would make two trips to the veterinarian, once for the blood work, the other would be about a week later once the blood results were received, when he would have his international health certificate issued. All of the hours of preparation, research and confirmation had paid off. Marley’s paperwork was completed, just one trip of the documents to the USDA-APHIS office in Harrisburg, PA stood in the way of Marley’s departure. The veterinarian reviewed the documentation and everything was to be in order. Marley was greenlit for travel to South Africa! He was going home. The day had come, all the T’s were crossed, and I’s dotted on Marley’s paperwork. Capital Pet Movers staff prepared his crate with the appropriate labeling and attached his favored toy, leash and some food to the top of his kennel. He was equipped with all the necessities for travel. He happily sprung into the Capital Pet Movers van, with the same enthusiasm and joy that the staff had come to love. We said our goodbyes, and our little friend was off to the airport. At the airport cargo check-in, Marley quickly made friends with those around him. The cargo offices of the airport can be a very busy area with tensions running high. A dog is often a welcome sight and as Marley cheerfully did his silly little dances and gave lots of kisses he seemed to disarm everyone around him. Marley entertained himself and others during check in process. Once the documentation was completed, he went into his travel crate and onward for his security check. Marley was finally headed home! This little pug that we had come to love, would become the first live animal to be successfully imported into South Africa by Capital Pet Movers following the regulations change. Capital Pet Movers followed up with Marley’s parents to see how he was doing. We are happy to report that Marley is enjoying his new home and has adjusted well to life in South Africa. We weren’t surprised in the slightest to hear that he still has his energetic, fun-loving disposition. Capital Pet Movers treats all pets in our care with kindness and love whether it’s for a short trip to the airport or an extended stay. Each member of our staff is dedicated to the safe and speedy relocation of your pet. No matter what unforeseen circumstances may arise, we will see that your pets are safely reunited with you.